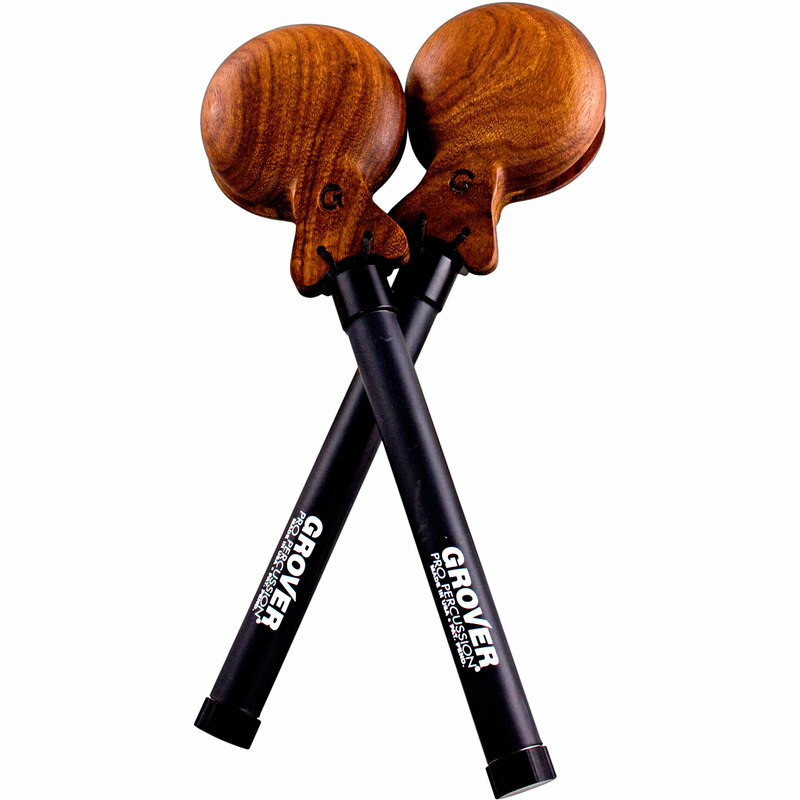 $166.50 per pair List: $222.00, You Save: $55.50! 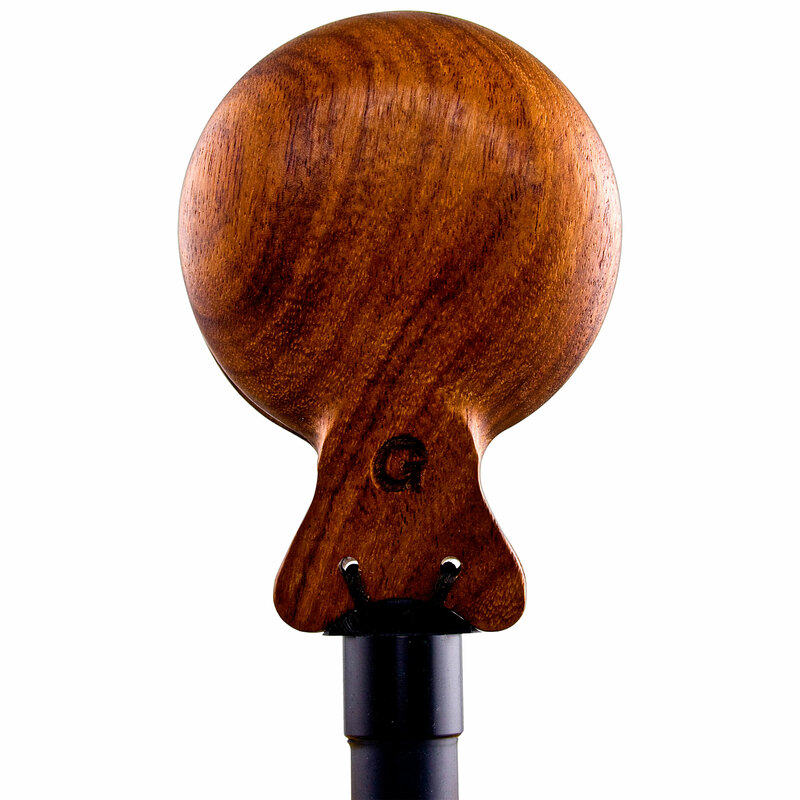 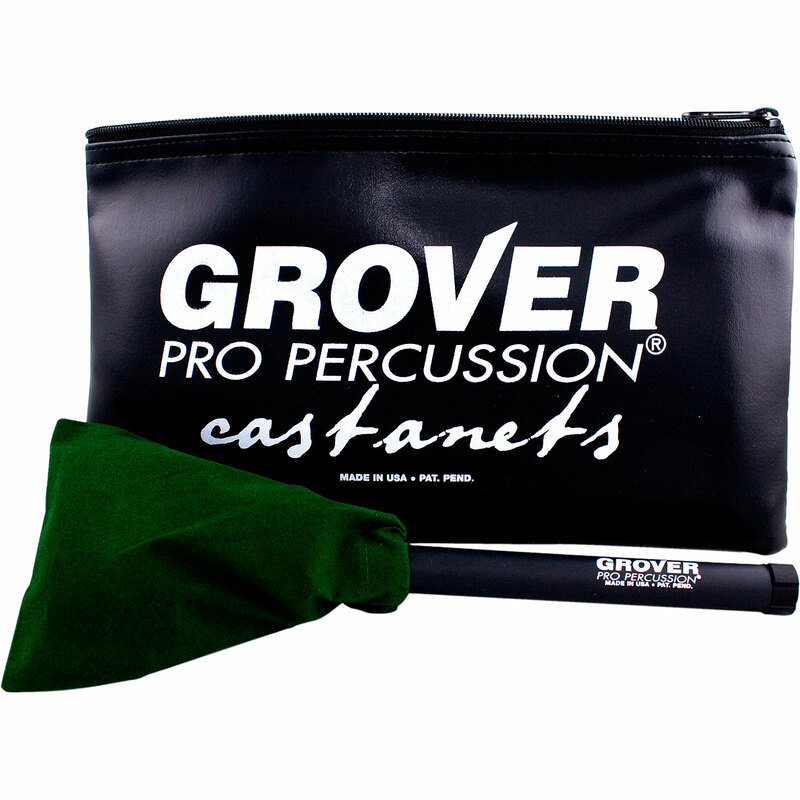 Grover brings the same level of quality found in their tambourines and triangles to another important member of the standard orchestral accessory family: the castanet! 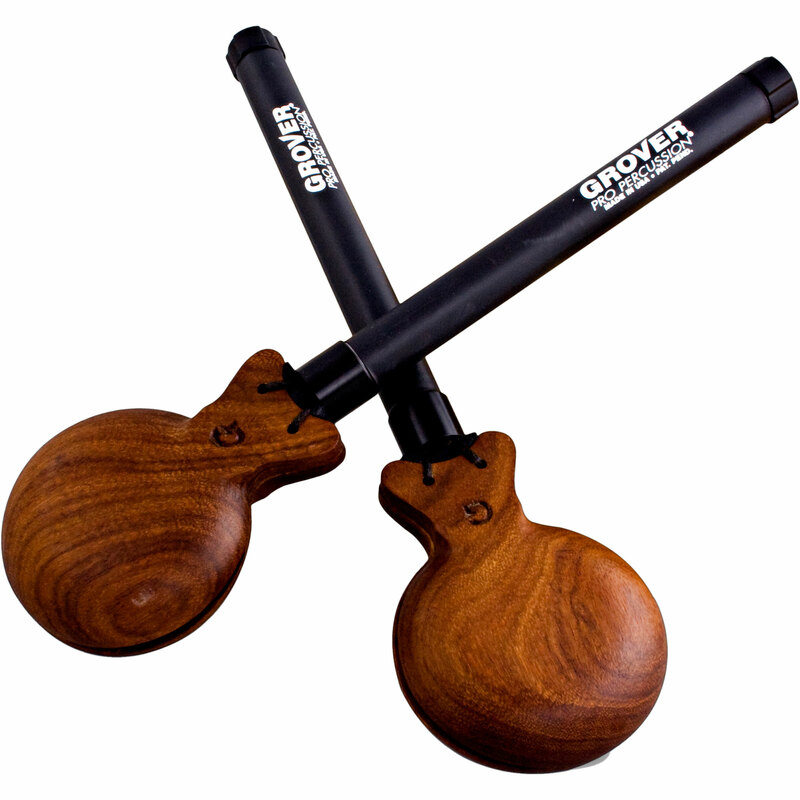 Made in the USA, these instruments have been designed according to the schematics of master castanet makers in Spain. 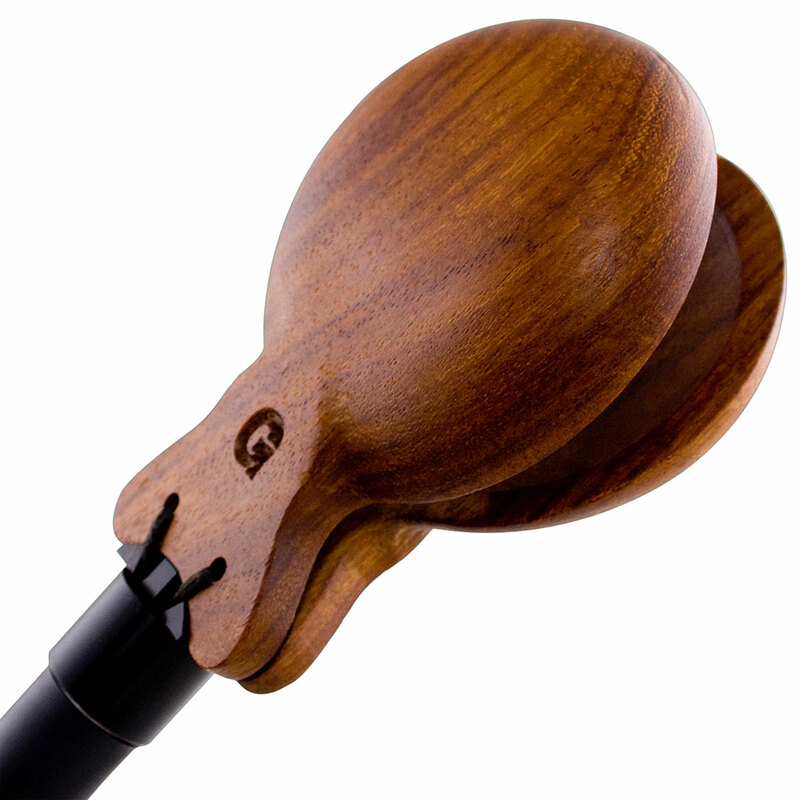 Each pair is made from a single block of hard, resonant Grenadillo wood, ensuring that each castanet is as similar in possible in color, audibly and visibly. 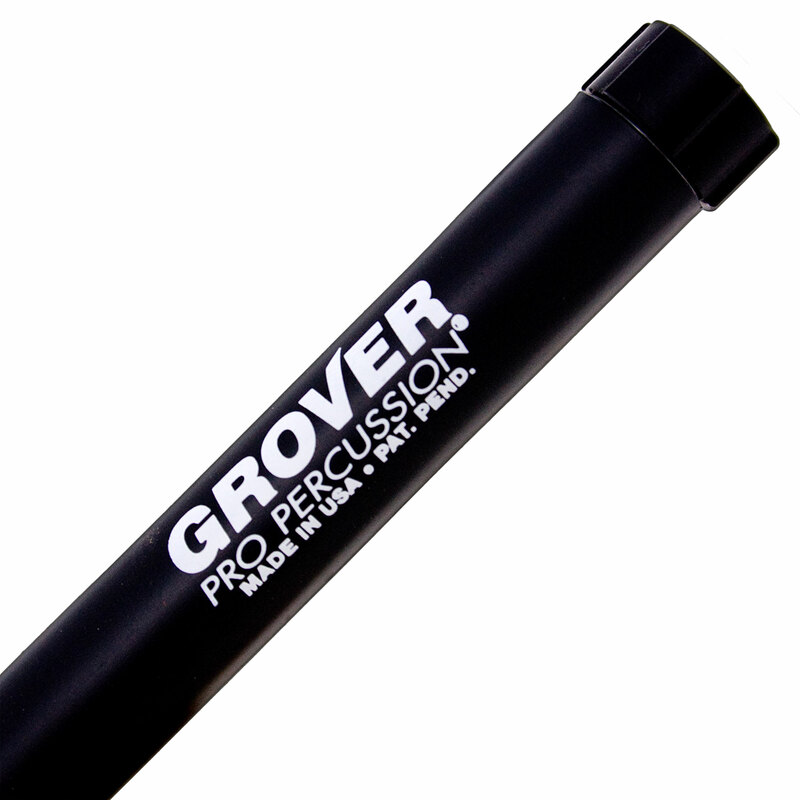 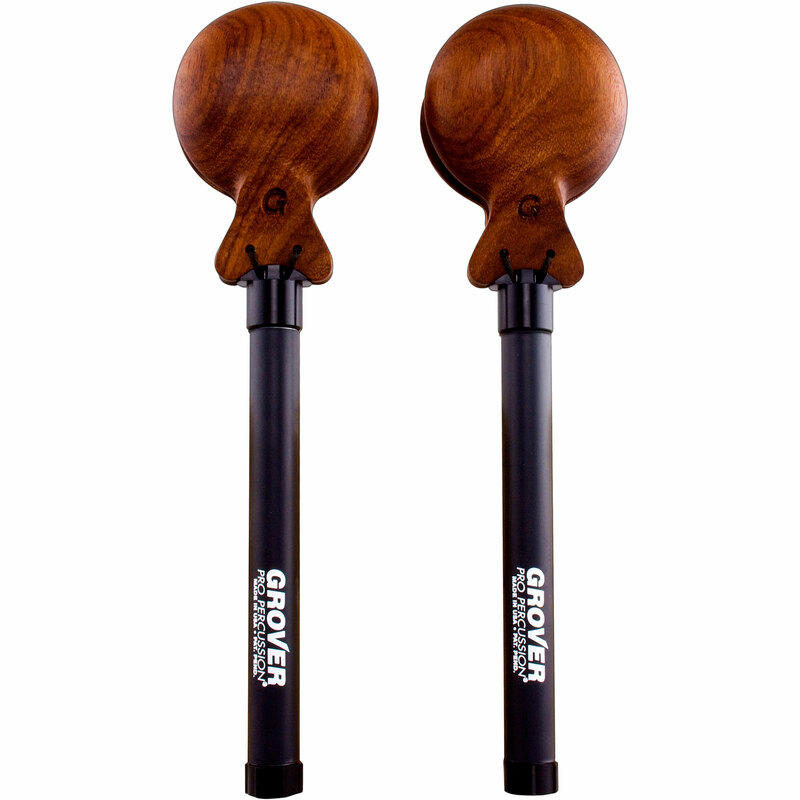 The handles are made from lightweight aluminum that has a molded outer covering, giving the player a good grip and an effortless stroke.